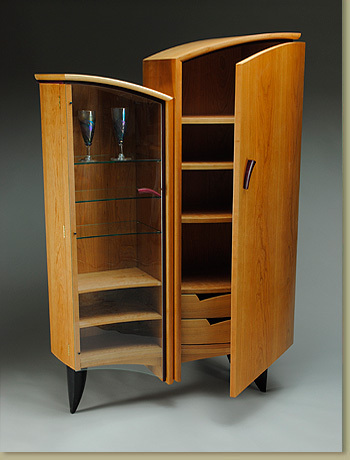 Cherry, bow front glass, ebony details. 16" deep x 38" wide x 82" tall. Commission to complete a dining room that I designed.